Insect Lab Equipment There are 23 products. Jar, Wide Mouth Short 180Ml. (6Oz) With White Writable Cap. 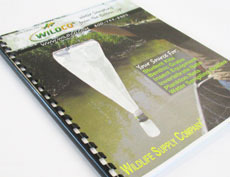 This inexpensive plastic sample jar is the perfect size for holding presorted specimens or small samples. 6 ounce, 2-1/4" diameter and 2-3/4" high. Also sold in a pack of 12, item 7913-B60.Use Write-On label Tape, item 7900-T5/10 to identify contents. 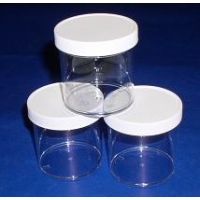 This inexpensive plastic sample jar is the perfect size for holding presorted specimens or small samples. 6 ounce, 2-1/4" diameter and 2-3/4" high. Pack of 12.Use Write-On label Tape, item 7900-T5/10 to identify contents. 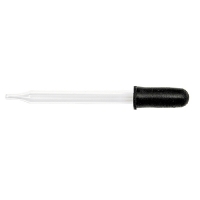 Medicine Droppers, pack of 12. This medicine dropper is 3 inches long and comes in a pack of 12 droppers. 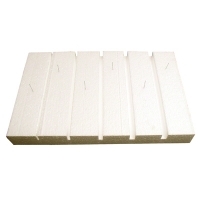 This styrofoam spreading board is ideal for butterflies and other specimen sizes because it features five grooves ranging in width from 1/8" to 5/8". The deep grooves allow for accurate positioning of specimens using any length of pins. The board size is as follows: 11"L x 17"W x 1 3/4" thick. Forceps, Spade-Tip, 4.25"Lng. 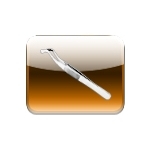 (Butterfly Or Filter Forceps). 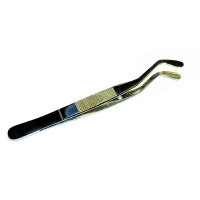 Also called "Butterfly Forceps" or "Filter Forceps", these forceps are 4 1/4" (108 mm) long and stainless steel construction. The flat spade tip reduces damage to delicate butterfly wings. Moreover, the forceps are useful in wet filters. 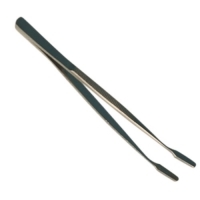 These forceps are 4 1/2" long and are used for handling insects or positioning specimens for pinning. The forceps have serrated tips and a handle with a gooseneck shank.